In my previous column, I discussed figuring out how many officers you actually need to help you run your guild. You’ve thought about this and have come up with a division of duties so you aren’t doing everything yourself. You know what positions you need, and what you want each position to be responsible for. Now comes the hard part — finding the volunteers to fill those positions. Here are some steps for finding the right guild member for the positions you want to fill. Step one is to make a list of questions you’re going to ask someone who is volunteering. This is — essentially — a job interview. What do you want to know about them? How do they see the position? Do they have ideas for things they’d like to do? Do they have ideas for making their position better? Step two is — once you have your questions — to post a job notice on your web site. List the position or positions you have open and ask for volunteers. The post should tell guild members what you expect of any person who fills the position. This notice can be as detailed as you want, but I recommend you hit the highlights and leave details for the interview. Step three is the actual interview of your candidate. Ask the people volunteering those questions you prepared. Listen — really listen — to the responses. You have a solid idea what you want but listen to what someone is telling you. If they come to the interview and immediately tell you all the things you’re doing wrong in that position they are not officer material, period. But if they come to the interview with an idea — for example, a Raid Leader — and say, “I’ve noticed we seem to be having a problem with melee not moving out of the boss’s attack. I think I have a solution,” they are probably going to be a good fit. They have seen a problem and thought about how to fix it. Ask if they have questions about the position and answer them. Step four is to offer the position. Welcome them into the officer corps and explain any things they get to do now that they are officers. There will be officer chat and most guilds let officers invite, promote, demote, and kick if necessary. Promote them when a large number of guild members are online. If you are a guild who has been around 2+ years, I recommend your volunteers be people who have been with you at least a year. That volunteer has shown they are dedicated to your guild because they have been with you for a while, and that kind of longevity means they also know the tone of the guild. They know the people. They know how you run things. They are going to fit into the existing corps easily because everyone knows them. But what if your guild is just getting started? Asking for a year of experience within the guild might not be feasible. Ask a volunteer about their World of Warcraft experience. How long have they played? 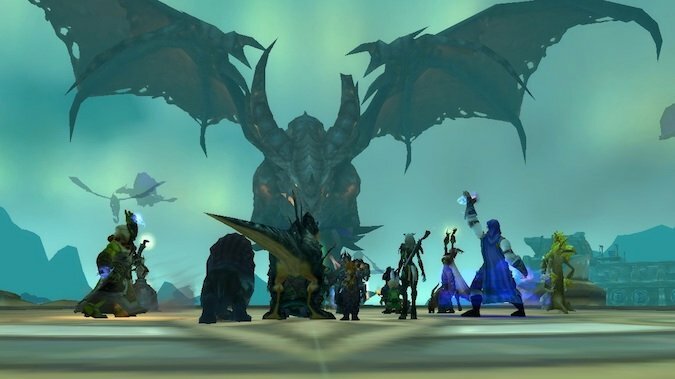 If the volunteer is for Raid Leader, you need to know what raids they have done. Have they lead raids? If so, which ones? If they haven’t but are enthusiastic to try, I don’t think you should rule them out. You’re a new guild and people may be new to every position. If you like someone and they have been a good guild member, it’s a complement to accept them into an officer role. What if you don’t get a volunteer the first time you list the position? If the vacancy is due to someone stepping down, ask them to give you a list of five people they think might be good in the position. Then, evaluate those people yourself. Do you agree with your officer? Have these people shown the qualities of good guild members? These qualities will transfer to the officer corps. If you have any doubts or don’t think you will get along with someone, cross them off your list. Mark them from one to five with one being your first choice. Then you’ll have to ask them if they’re up to the challenge. You need to have your questions at the ready. Don’t be upset if they say they aren’t interested — joining the officer corps is a daunting proposition. What if none of this works? 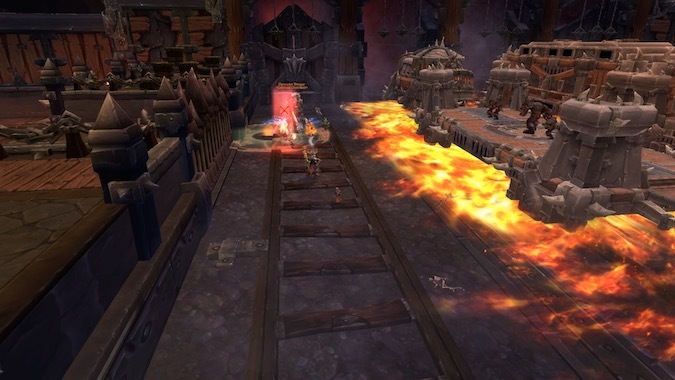 As a guild leader, you may have to shoulder the position for a time until someone steps forward. I was both guild leader and raid leader — something I do not recommend — for a time during Wrath of the Lich King and again in Cataclysm, when raid leaders had to step down. Being in that position allowed me to understand more of what I wanted from our raids. I kept the notice up on the guild web site and mentioned it every week. It took a couple of months but people came forward. Other positions — bank officer, for example — might not need to be filled immediately. You can also ask other officers to help shoulder those tasks. Ask guild members to consider stepping into a vacant position on a temporary basis to help out. They might find they like the position so much, they can become permanent. I hope these suggestions help you when you have a vacant position or — if you are a new guild — seeking to fill positions. Officers are wonderful volunteers and you need to remember they are volunteering their time to help your guild run efficiently. 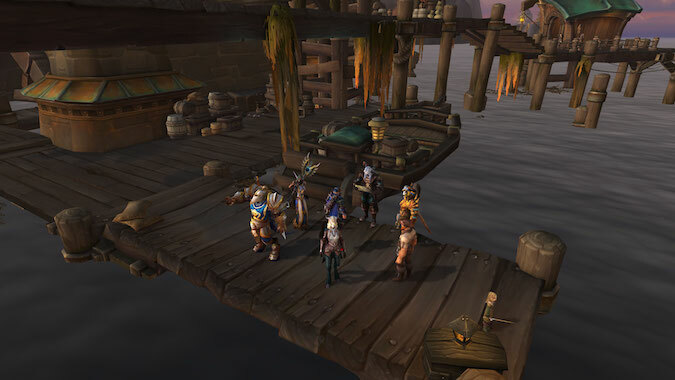 If you know your guild, when there is a vacancy you should be able to tap someone on the shoulder to fill it or — in the best of cases — they will come to you. Good luck.